This article provides a detailed walkthrough on how to restore packages as part of the Team Services Build both, for both Git and Team Services Version Control. Although this walkthrough is specific for the scenario of using Visual Studio Team Services, the concepts also apply to other version control and build systems. If you're using Visual Studio Team Services or Team Foundation Server 2013 with its build process templates, automatic package restore happens as part of the build process. An advantage of using NuGet is that you can use it to avoid checking in binaries to your version control system. This is especially interesting if you are using a distributed version control system like git because developers need to clone the entire repository, including the full history, before they can start working locally. Checking in binaries can cause significant repository bloat as binary files are typically stored without delta compression. NuGet has supported restoring packages as part of the build for a long time now. The previous implementation had a chicken-and-egg problem for packages that want to extend the build process because NuGet restored packages while building the project. 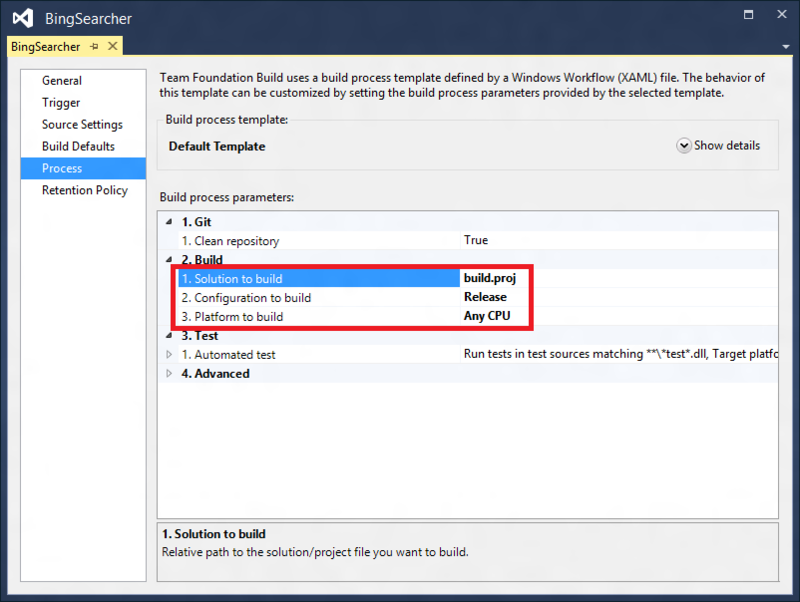 However, MSBuild doesn't allow extending the build during the build; one could argue that this an issue in MSBuild but I would argue that this is an inherent problem. Depending on which aspect you need to extend it might be too late to register by the time your package is restored. Packages must be authored to allow loading in Visual Studio. Otherwise, you may still want to check in .targets files so that other developers can simply open the solution without having to restore packages first. The following demo project shows how to set up the build in such a way that the packages folders and .targets files don't need to be checked-in. 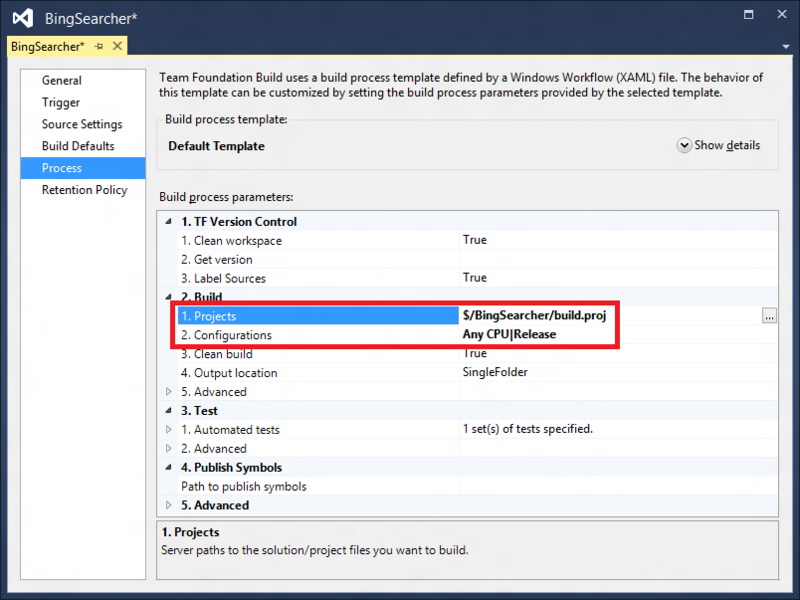 It also shows how to set up an automated build on the Team Foundation Service for this sample project. Our demo project is a simple command line tool that uses the command line argument to query Bing. It targets the .NET Framework 4 and uses many of the BCL packages (Microsoft.Net.Http, Microsoft.Bcl, Microsoft.Bcl.Async, and Microsoft.Bcl.Build). You can see that we haven't checked-in the packages folder nor any .targets files. We have, however, checked-in the nuget.exe as it's needed during the build. Following widely used conventions we've checked it in under a shared tools folder. The source code is under the src folder. Although our demo only uses a single solution, you can easily imagine that this folder contains more than one solution. To communicate to version control that we don’t intent to check-in the packages folders, we've also added ignore files for both git (.gitignore) as well as TF version control (.tfignore). These files describe patterns of files you don't want to check-in. This will exclude all packages folders but will re-include all contained .targets files. By the way, you can find a template for .gitignore files that is specifically tailored for the needs of Visual Studio developers here. For our demo, we keep the build process fairly simple. We'll create an MSBuild project that builds all solutions while making sure that packages are restored before building the solutions. This project will have the three conventional targets Clean, Build and Rebuild as well as a new target RestorePackages. The Build and Rebuild targets both depend on RestorePackages. This makes sure that you can both run Build and Rebuild and rely on packages being restored. Clean, Build and Rebuild invoke the corresponding MSBuild target on all solution files. The RestorePackages target invokes nuget.exe for each solution file. This is accomplished by using MSBuild's batching functionality. Team Build offers various process templates. For this demonstration, we're using the Team Foundation Service. On-premises installations of TFS will be very similar though. Git and TF Version Control have different Team Build templates, so the following steps will vary depending on which version control system you are using. In both cases, all you need is selecting the build.proj as the project you want to build. Please note that this property is a location in your repository. Since our build.proj is in the root, we simply used build.proj. If you place the build file under a folder called tools, the value would be tools\build.proj. In contrast to the git based template the TF version control supports pickers (the button on the right hand side with the three dots). So in order to avoid any typing errors we suggest you use them to select the project.